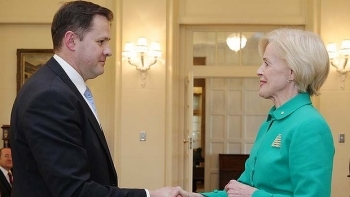 Mr Husic became Australia's first Muslim frontbencher when he was appointed the new Parliamentary Secretary to the Prime Minister and Broadband. He took his oath of office on the Quran at the swearing in ceremony with Governor-General Quentin Bryce, the first Australian to do so. There were some concerns raised about this, however Mr Husic said he saw this as a natural part of democracy and a good thing that people can ask those questions. He says the important thing is that mainstream Australia wants everyone to work together. Joel Heffernan, Executive Bartender, Club 23, Crown Melbourne is a world record holder for making the 'Most Expensive Cocktail'.